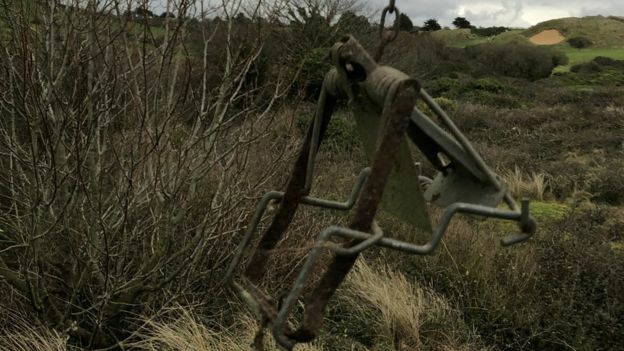 A pet terrier was injured when he got caught in a “barbaric” metal animal trap placed near a public footpath, his owner said. Alfie made “blood-curdling wails” when he was injured at St Enodoc Golf Course in Cornwall and “would have died” had he got his neck or head stuck, his owner Lindsay Cavell said. A golf club spokesman said the traps are used legally to control rabbits. He added the club will now review where the traps are set. 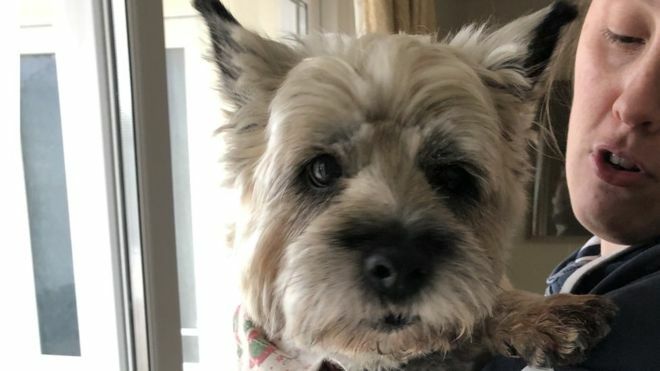 Mrs Cavell, 60, described her “absolute horror” to discover her 12-year-old cairn terrier had got stuck in shrubs “about ten yards” from a footpath which runs across the golf course. “It didn’t have teeth, it was more of a crushing thing. If an animal had got his head or neck in they they would have been gone in an instant,” she said. Her friend Marti Everett, who also witnessed it, said it took three adults to prize the trap off, leaving the dog with skin abrasions. “He could have lost a foot… It was just the most horrendous thing I’ve ever seen,” she said. Clarke Willmott said on behalf of St Enodoc Golf Club: “Rabbit control is essential and is carried out as humanely as possible. He added that “in view of this incident we will review the actual location of the traps which are used”. The National Anti-Snaring Campaign said the fenn trap is only legal to use if they are set in underground tunnels, and that setting them is due to be outlawed in 2020. Ah but above ground they are illegal…. I guessing the police will do nothing however adverse publicity might help that terribly cruel practice this club are happy to defend to end earlier than 2020 …. Man its morally wrong to use this kind of trap or any snares full stop! !